Frittatas are the easiest dish around. This easy frittata recipe is baked in the oven until it’s puffed and golden brown. Frittatas are a quick and affordable meal. With meat or without, it’s a lovely way to transform leftovers vegetables! 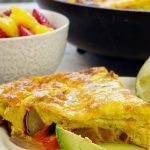 A basic frittata recipe is a great one to have when you’re looking for a deliciously savory meal, whether that’s breakfast, lunch or dinner! The inspiration for this recipe actually came from her blog after I made her Chorizo Sheet Pan Dinner recipe! Chorizo, peppers, onions and potatoes all slapped onto a pan and baked off in the oven. Sheet pan dinners are a thing, let me tell you! And for a good reason – it’s simple way to put dinner on the table, easy, flavorful and delicious! 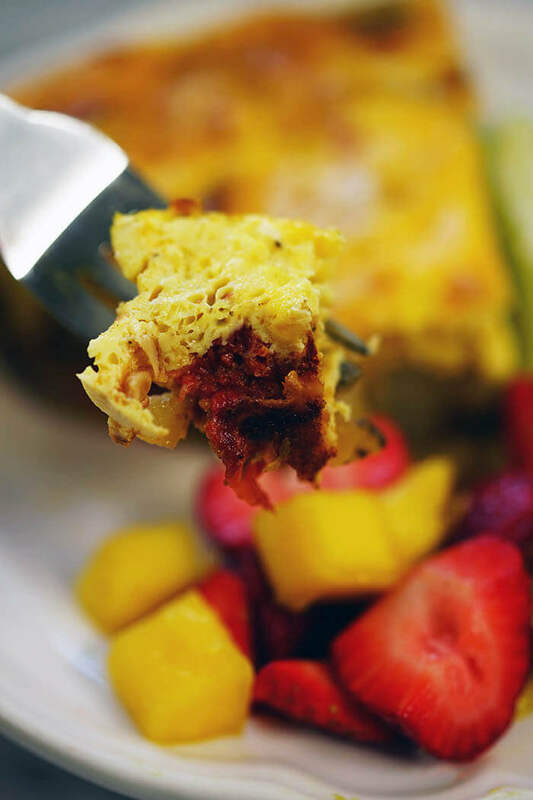 Serve up a big wedge of frittata with a side of fruit saladIf you’ve been following the blog for long you know remaking leftovers is actually something I specialize in. So that night for dinner, I transformed leftovers from the sheet pan dinner into an easy frittata and let me tell you this is delicious! 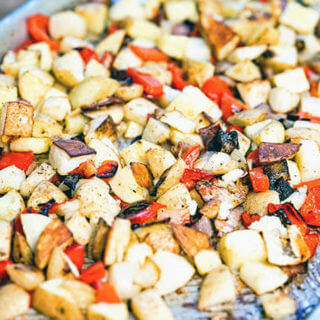 Any leftover veggies will do, even these pan roasted vegetables as a substitute! If you’re looking for a great side dish to serve alongside my simple fresh recipe for Fruit Salad is a great choice! 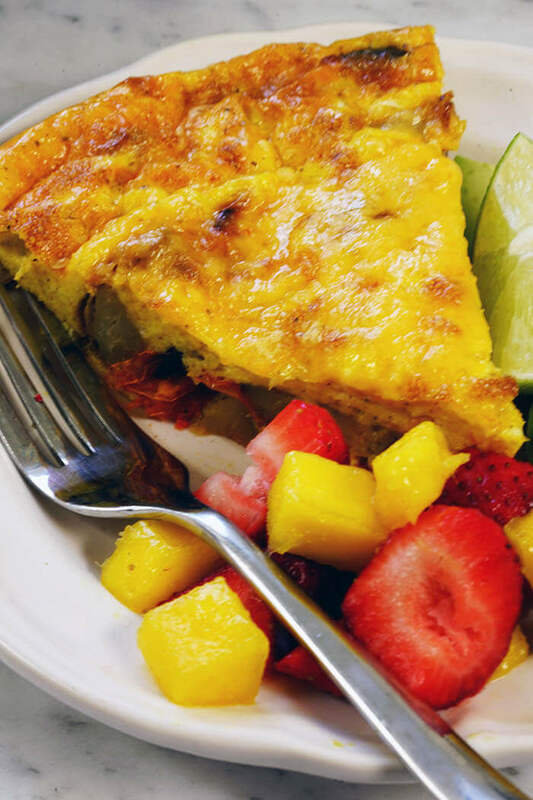 Looking for more super delicious Frittata Recipes? 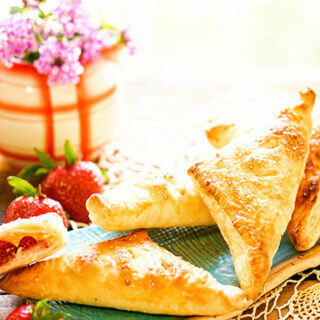 Here are a few that I think look absolutely delicious! Stone Soup’s Secrets to the Perfect Frittata – this is a great how-to and you’ll be well on the way to making the perfect frittata! Persian Zucchini Frittata – I love the flavors and spices used in this meal from A Kitchen Hoor’s Adventures! I could sure use a wedge of this Sausage, Potato, Spinach and Cheddar Frittata from Lemoine Family Kitchen! Here are some recipes from my blog – easy tasty ideas for breakfast or brunch, that I think you’ll really enjoy! Calphalon Saute Pans – this is the set I have and have been using for years. 1 1/4 cup shredded cheddar cheese (divided) recommend cheddar or pepper jack. Filed Under: Breakfast Tagged With: #leftovers, Breakfast, lunch or brunch. « Teriyaki Noodles that are better than take-out! LOVING this recipe! The veggies and the cheese are perfectly matched with the fluffy eggs! Can’t wait to make it for brunch this weekend! Thanks!! It’s so easy too, I hope your family loved it! Thank YOU for such great inspiration, we love that meal! 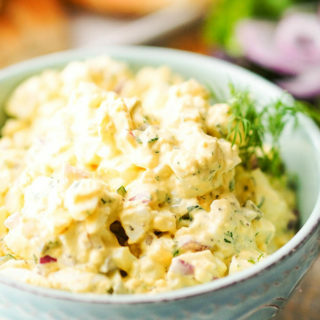 We love a good fritatta and the easier the better, in my book! Looking forward to trying this one soon! I think my favorite part of this recipe is that I can clean out my veggies from my over zealous purchase at the farmers market! 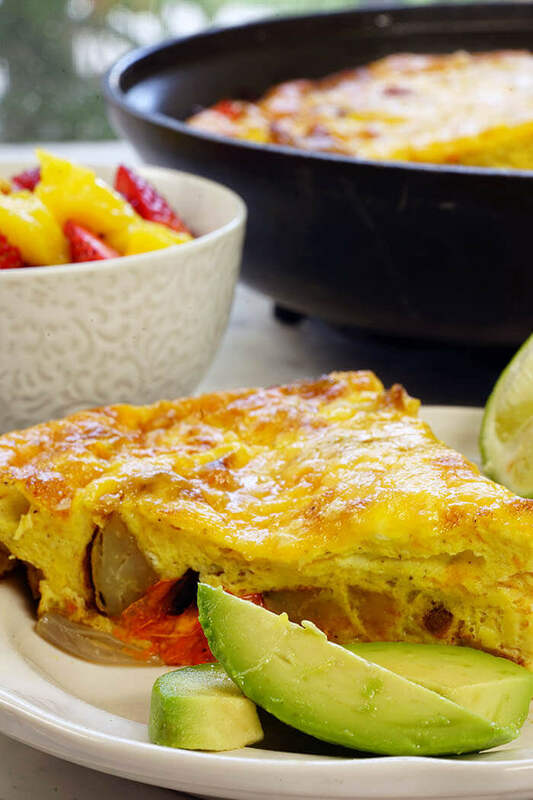 Im totally craving a frittata after seeing this post! What a great way to turn leftovers into another delicious meal. No two frittatas will be the same! Delicious! Frittatas were one of my go-to meals when I was single and $’s were tight (in other words most of the time!). They are an easy and affordable meal! 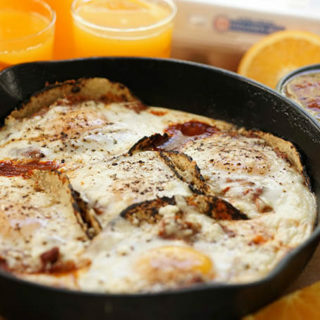 Brunch or weekend breakfast perfection! Love that you used roasted vegetables- the flavors really enhance the dish. Can’t wait to make this one! 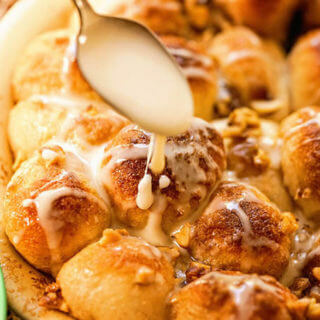 Loving that you can switch up this recipe to what you have on hand!! Brilliant! I absolutely love this idea, and I love how you transformed leftovers into something sooooo good! 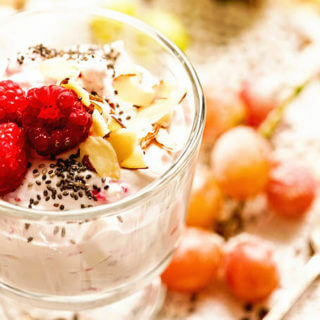 Perfect breakfast or brunch idea right here! I love fittatas! I love the roasted veggies… Oh I am sold!! !